It’s too late for 2015 — we already know that all the Academy Awards for acting are going to a white person. But what about next year — will Hollywood’s slate of 2016 movies result in the third year in a row of #OscarsSoWhite? With what we know so far, it doesn’t look good, according to USA TODAY’s diversity report card. There will almost certainly be last-minute changes or delays, or movies that get picked up later in the year at film festivals such as Cannes and Toronto. Who knows if a Precious or a Beasts of No Nation will suddenly appear and acquire all-important Oscar buzz? The picture can and likely will shift somewhat. But for now, looking at the 184 movies officially announced for release this year by 14 studios (each rolling out as many as 20 movies or as few as seven), the Academy Awards next year may be just as pale and male as this year. Our analysis doesn’t assess the Oscar viability of 2016’s forthcoming movies. But it shows a discernible lack of minority and female faces in major roles and among the directors of the films being released between January and December 2016. In fact, there’s a striking number of movies in which there are only white faces. In USA TODAY’s report card for the coming year in the film industry, almost every studio deserves reprimand. But since we’re grading on a curve, we’ve given credit to studios trying hard for a C, and four studios earned the highest grade of B. Of the studios with more than 12 movies, Sony rated the highest, with a slate of 17 new movies that tallied to a final grade of B. Paramount had the lowest grade, receiving an F for 14 movies. Of the studios with 12 or fewer movies, Sony Pictures Classics, STX (each with nine movies) and Weinstein (12) earned a B. The lowest grade among these studios went to Open Road, which received a D- for seven movies. “Hollywood has been whitewashed, in front of the cameras and behind, from casting to writing to producers to actors,” says Jeetendr Sehdev, a professor at the University of Southern California who has researched the challenges in improving diversity in the film industry. It may not be deliberate but thoughtless, says Casting Director Lana Veenker of Cast Iron Studios in Portland, Ore., who recently cast supporting roles in Reese Witherspoon’s Oscar-nominated Wild and also casts for TV shows such as NBC’s Grimm, CW’s Significant Mother and TNT’s The Librarians. 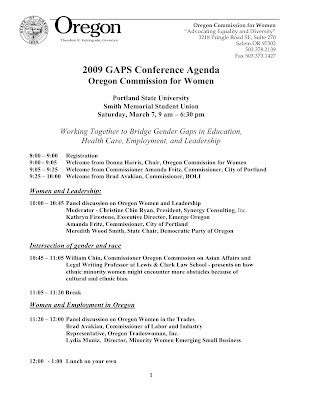 A follow-up on Saturday’s GAPS Conference at Portland State University is posted on Kim Kasch’s blog. 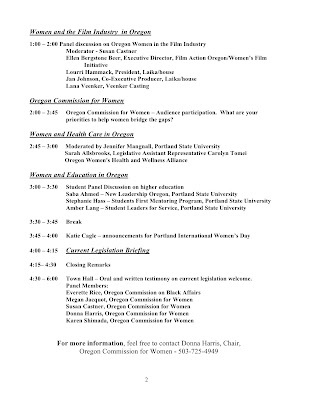 On the “Women and the Film Industry” panel were Lourri Hammack and Jan Johnson of LAIKA/house, Ellen Bergstone Beer of Women’s Film Initiative and Film Action Oregon, and Lana Veenker of Lana Veenker Casting. 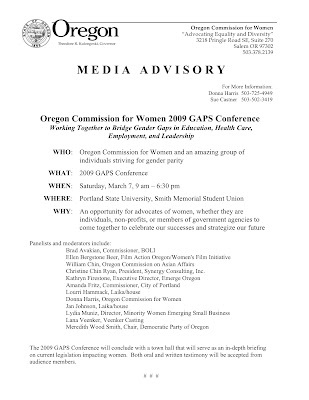 Lana will be speaking on a panel this Saturday, March 7th at PSU from 1:00 to 2:00 PM on the topic of Women and the Film Industry in Oregon, as part of the 2009 GAPS Conference, sponsored by the Oregon Commission for Women.